Son of Luis Aleson Camomot and Angela Bastida from Talisay. i am jasmine camomot-caguimbal, one of the long family of camomot, living in zamboanga city. my great great grandfather’s name is narciso camomot and my father is narcisco camomot. last 2006 i and my husband had the opportunity to visit my camomot family at carar cebu, and luckily i’ve found lola eliza and lola estela the sisters of the late arch. teofilo camomot. but i didnt had my chance to visit my camomot family of carcar which was located at the bukid daw sabi ni lola elisa… in the internet i kept of searching about my family tree and i felt lucky again when i emailed atty. dino camomot and he responded me…to my camomot family i would be glad if you acknowledgment us here in zamboanga city as a part of you family circle. when i visited carcar there i found the statue arch. teofilo camomot. hi jasmine saan ka sa zamboanga city? actually msgnor camomot was our grand uncle …in our mother side. i am jasmine camomot-caguimbal, one of the long lost family of camomot, living in zamboanga city. my great great grandfather’s name is narciso camomot and my father is narcisco camomot. last 2006 i and my husband had the opportunity to visit my camomot family at carar cebu, and luckily i’ve found lola eliza and lola estela the sisters of the late arch. teofilo camomot. but i didnt had my chance to visit my camomot family of carcar which was located at the bukid daw sabi ni lola elisa… in the internet i kept of searching about my family tree and i felt lucky again when i emailed atty. dino camomot and he responded me…to my camomot family i would be glad if you acknowledgment us here in zamboanga city as a part of you family circle. I have redirected this thread to the Search Forum page-Camomot sub-page. Hello. Arch. Teofilo Camomot is my tito. He is the elder brother of my dad. So, that means we’re cousins? :). I was browsing for more info of the Camomot’s and I accidentally open this site which is very informative, I may say, good job!. We’re from Cagayan de Oro City. There are a lot of Camomot’s living here too and luckily we’ve met some of them. Anyways, we visited Carcar last year around Nov in time for their fiesta. We had the chance to visit Arch. Teofilo Camomot’s (tito Lolong) tomb at Carcar, Villadolid, it was a very humbling experienced indeed. I hope to hear from you soon. hi tita joan, kumusta naman ka? Hello, i am feleoncio camomot puno of wao, lanao del. I just thought we’re relatives, my mother is fe camomot, daughter of soledad camomot, The daughter of diosdado camomot, Son of silvestre camomot, whom my lola tacia florentino said that the father of teofilo camomot , was the brother of silvestre. Just want to if we are of the same roots. God bless. I think eliza and estela are not sisters of teofilo but nieces, that is, daughters of remedios camomot – baricuatro. ako si camomot taga tugas bolinawan carcar city cebu. ug ako usa ko nga sungkuran sa apuhan niya,ig-agaw na sa akong lolo nga si loreto camomot iyang tatay manag agaw na silang duha sa amahan sa akong lolo nga si cristobal camomot ang ilang pinuy-anan taga kalangyawon carcar city cebu lluyo sa bukiran sa carcar city.may gahom na siya mopaulan gani siya ug tulo ka oras dili na siya matamas-tamasan ug mga tawo kay may gahom na siya unta mosunod ko sa iyang kamahu-an.pero santos na sya karon kay but-an man sya pag ka pari wa man siya`y gihuna huna sa mga babaye. Hi! have you also search the relatives sa mother side ni Bishop Camomot? Coz I’ve also heard with my lola mentioning na relative sila nii Bishop and we are lumad Mandauehanon. She narrated na in the 70’s and 80’s they always visited carcar sa family house ni Bishop, My Lola comes from the Jayme Clan of Mandaue. my small bastida file only contains members of the family who appear in carcar records, all of them however point to talisay as the source, not mandaue. but it’s possible the talisayon bastidas may have come from mandaue (or vice versa). in the record of the marriage of his parents, archbishop camomot’s mother was only identified as daughter of juan and benigna (no surname given). the archbishop’s immediate family (like his bastida first cousins, whom i don’t know if he has them) may be able to answer the rest of our questions, including tracing them to you, too. nang henaut ko nga unta…. maclouse nako ang manga camomot.. mu vist unya ko sa house ni camomot. teofilo dha sa carcar huuhhhuuhhu……. tinuod na ingun nila nga mahimong maka paulan c father camomot ug 3 ka adlaw… nohhh ka nice gud…. vip: you should go to Talisay and search for the Bastidas. There are still a lot of people there who knew Msgr. Camomot and his mother, start in Dumlog. My mother and grandmother would have known but they’ve passed away. hello. i am interested to know more aboute archbishop teofilo camomot. can i have some more readings about his life? thank you so much! michael u. Henson of angeles city, pampanga. mot. ky fathers name is charlemagne, the eldest son of manuel. Hello, camomot pud ko taga mindanao. Igsoon mo ni jojo? Taga opon? ok ka lang? katawa man ko nimo oi,can i say something,no offense ha. Si Msgr. Camomot kay dili tawon to magickiro oi,ang mga vertud nya kay God given,its a gift of the Holy Spirit gikan sa Dios.Kung gusto ka na mapareha nya,pagkinabuhi sama nya.But don’t think to be like him para lang makabaton ug power. Its up to God kung unsa nga gasa ang iyang ihatag sa tawo. hi! im Mark David bastida.. my father said that Angela Bastida is a close relative of my grandfather Jose Bastida he is not just sure if 1st cousin or second..
Mark they are first cousin sila because their grand parents are bros. your side in Davao and my dise in ?Cebu, may isa pang bro. in Luzon. re written: Bro. Mark they were first cousins, their grandparents were brothers,your side in Davao and mine in Cebu, there’s still one in Luzon, not heard about him. i’m just chiming in. if it’s the grandparents who were the brothers, then they were second cousins; it’s their parents, the children of the brothers, who were firsts. Hello everyone of Camomot family tree! I had the blessed opportunity to kiss the ring of Archbishop Teofilo Camomot way back in 1963-64. 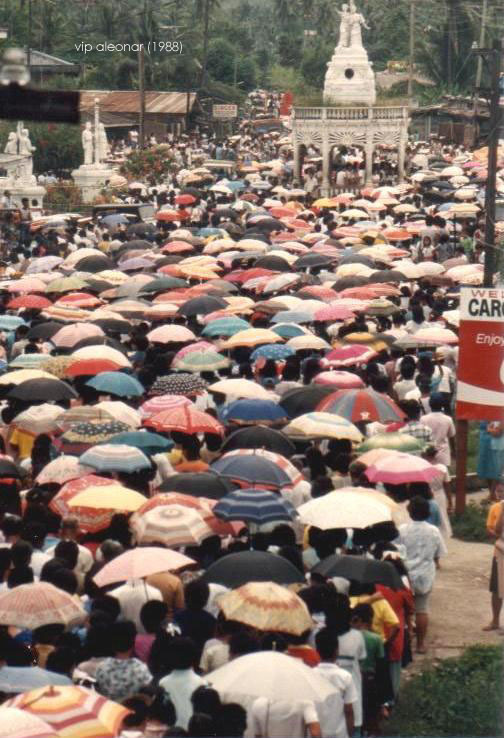 I happened to open this site today and I am very happy to know that he is a candidate for sainthood and the process is underway… So it means we will have more Filipino saints and our country is so blessed and the congregation, DST, he founded, most especially his family – the Camomot Family. am looking forward for uncle teofilo’s sainthood!!!! I visited the tomb of Msgr Camomot. He was the one who baptized me and was also my godfather. The DST has flyers or leaflets of prayers for his sanctification. We all need to pray for his beatification process. I am inspired by the life of the late Archbishop Teofilo Camomot of Carcar,Cebu. I promise to pray for his beatification and eventual sainthood everyday of my life from this day on forward. I am inspired because my parents were born in Carcar,Cebu and migrated in Digos, (now Digos City) Davao del Sur in the early 1950’s where they both met and married. His humility, love of the poor and simplicity to serve and unconditionally LOVE God is truly a saintly act of giving his life for Christ. I look forward, by God’s grace, to personally witness his interccession and miracle for me and my family and be present with my family in the Vatican City for his day of sainthood! GOD has made it all happen for this great but humble man who happens to be a servant-priest whose only wish is to deny himself to love and commit himself for the glory of GOD! My love and affection for you Archbishop Teofilo Camomot! I will be here to offer my daily attendance of the mass to pray for your sainthood. God bless! I was just recently informed that my grandmother(mother side) is a first cousin of Arcbishop Camomot…Her name is Genoveva Camomot Mahinay.. 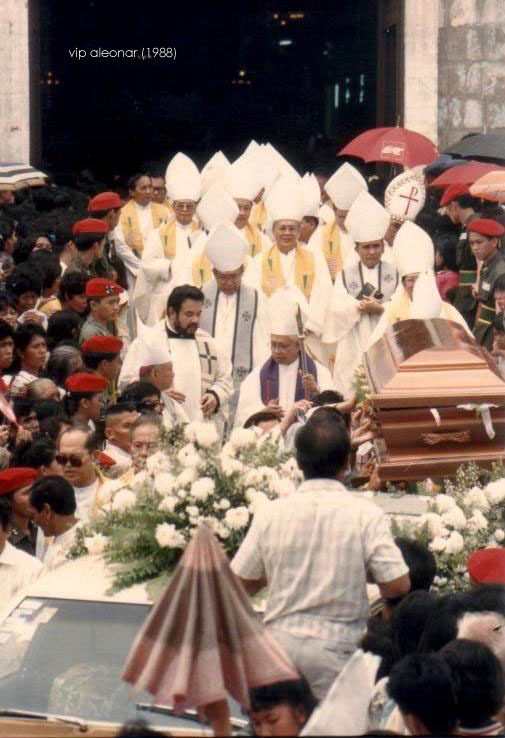 I have prayed for the late Bishop Teofilo Camomot’s beatification and sainthood everyday in my daily attendance of the Eucharist including my daily rosary. With Faith, I know he will surely intercede for my prayers and my attendance together with my family his eventual beatification and sainthood in Vatican City very soon….all by God’s grace!!!! Ganahan kayo ko aning story ni Bishop Teofilo Camomot oi. grabe kaayo ka maayo nga pagkatao. ingon ani palang ang mga tao noh? peaceful kaayo ang kalibutan. Sige lang kog kadungog story about him mga maayo kaayo nga pagasulondonon. Apo ko ni Filomena Camomot-Sellon igsoon ni Tiyo Lolong(Arch. T. Camomot)ang ako mahinumduman kato gamay nga bata pa ko.kung mobisita gani to siya ni lola Pilo diri s Minglanilla.ako permi gyud maulahi makaadto s balay ni lola ug iya gyud nga naandan mao tagaan mi tanan niyang apo ug kuwarta.Ako bisag ulahi na nga makaabot tagaan gihapon ko ug kuwarta gatoo gani dili n matagaan pero tagaan gihapon ko.Pagkamangiihatgon gyud.Hinaot sundon nato ang iyang mga virtues. i am writing a screenplay on abp. teofilo camomot. actually it’s already done. but i am rewriting it for the tagalog version. can you help me fill in some details about your family and your childhood experiences with the archbishop? and can you tell me what is the name of your father and the names of your siblings with their birthdate? i hope to hear from you soon. Bernard Montilla (Bernardo Karpio) in Facebook. or you can email me at bernardocarpio888@gmail.com. or text me at 09393745327 for a possible personal interview. Gud day, I am John Leo Quinal-Camomot son of Charlemagne Tan-Camomot and Grandson of Manuel Mendez-Camomot. I want to know more about the Camomot-Family-Clan. Could anybody tell me. My grandfather live in Camagong St., Lahug Cebu City. hi! i’m Honey Lynn Bastida Edroso, akong lolo c, Rufino Bastida, akong great grandfather c Agustin Bastida, na 1st degree cousin ni archbishop Tiofelo Bastida Camomot and Teofilo B. Camomot s my great grandfather in her mother side.,and my mom Helen Bastida, live in talisay poblacion cebu city, and she was just married here in cagayan de oro. I got an update on my side. My great grand lolo’s name is MOISES CAMOMOT from Guadalupe, Carcar Cebu. I am here now at Carcar for work and i was so blessed that I went to the house of Msgr. Teofilo Camomot and visited His tomb at Valladolid.